Welcome to the new High Point Play Area! On a blustery, cold winter day, the fences were removed from the newly constructed High Point play area. High Point play area sits behind the High Point Community Center in West Seattle, next to the Walt Hundley Playfield. The park sits at the highest point in Seattle (520 feet above sea level, and about 70 feet higher than Queen Anne or Capitol Hill). 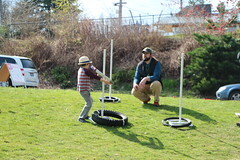 The playfield is named after Walt Hundley, who was the first African American Superintendent of Seattle Parks (from 1977 to 1988). Mr. Hundley helped acquire this site for the field and community center. With a brand-new play area, this park has it all! The park includes a lit, synthetic turf field, which hosts neighborhood teams and regional soccer tournaments. 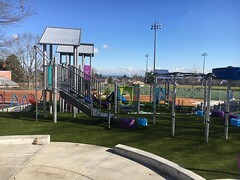 It also features a baseball diamond as well as a walking loop, and the adjacent community center has programs for kids, seniors, teens, and adults. 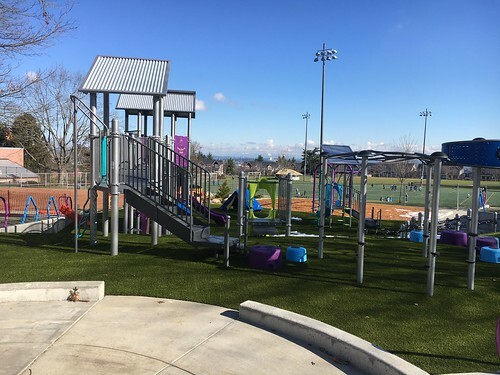 The new play area was designed by Seattle Parks and Recreation’s very own landscape architect, Bronwen Carpenter. Bronwen has been with the department for the last few years as our in-house landscape architect, and High Point was the first project she designed on her own. The new play area is almost five times the size of the old one and incorporates a tall climbing tower to give little adventurers an exceptional view of downtown Seattle. During the community meetings, we heard that folks would love swings, and we delivered. 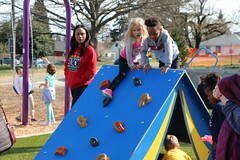 The play area is colorful, whimsical, and encourages kids to climb, run, jump, and enjoy playing outdoors. There are multiple seating areas surrounding the site, and a beautiful northwest rain garden (the perfect spot to start a conversation about native plants and rain runoff). Seattle Parks and Recreation has been renovating playgrounds across the city thanks to funding from the Seattle Park District! David Rodgers in Queen Anne, Lakeridge Park in Rainier Beach, E.C. Hughes in Delridge, Wallingford Playfield, and so many more are on their way. Learn more here. An Opening Celebration for the new High Point play area is planned for Saturday, March 23 from 2 p.m. to 4 p.m. We hope to see you there! Join us in helping King County reach #1MillionTrees by 2020! Seattle Parks and Recreation planted more than 111,000 trees over the last three years! We are excited to be a part of King County’s 1 Million Trees initiative! Thanks to the efforts of cities, nonprofits, tribes, schools and residents, partners planted 705,840 trees in King County– well past the half-way mark to the goal of #1MillionTrees by 2020. And, through the Green Seattle Partnership, Seattle Parks and Recreation planted more than 111,000 trees from 2015 to 2018! The Green Seattle Partnership regularly installs over 100,000 plants each year as part of restoration projects across the city. In 2018, Seattle Parks staff, volunteers and contractors planted a record-breaking 43,000 trees alone! Interested in helping us contribute to King County’s #1MilliontTrees Initiative? Volunteer for a restoration event with the Green Seattle Partnership–click here to find a volunteer event happening near you! Apply to the Jr. Naturalist Program at Carkeek Park or Camp Long! EarthKeepers Nature Camp (Carkeek Park) and NatureQuest Nature Camp (Camp Long) are recruiting for Junior Naturalists to join their respective team of environmental educators to help support outdoor nature programs. Each camp in looking for Junior Naturalists between the ages of 14-17 to support camp staff, gain environmental education skills, and share the love of nature with campers ages 6-12. 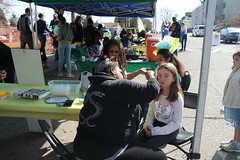 The Junior Naturalist is a volunteer position but will count towards high school community service hours. Many of Seattle Parks and Recreation’s current camp educators started as Junior Naturalist prior to their college experiences. We are seeking Junior Naturalists who can commit to a minimum of two weeks and up to six weeks of camp. Interested applicants must be 14 by May 31, 2019. 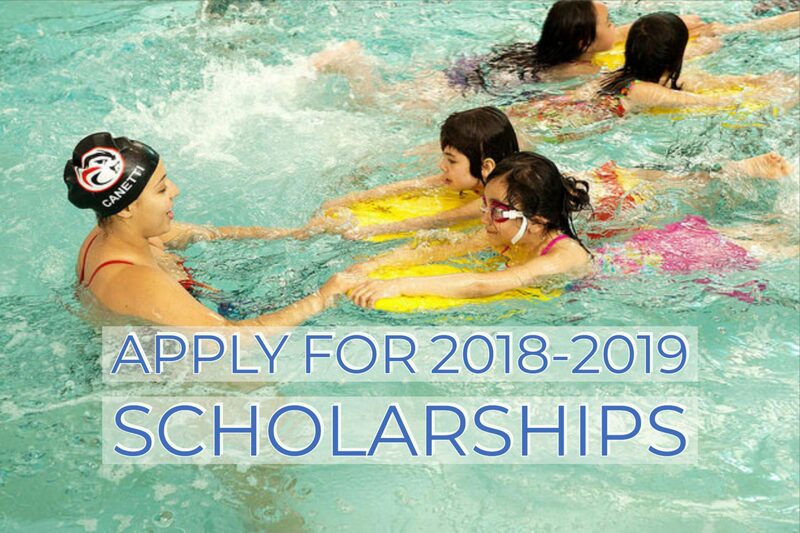 Click here to apply and here for more information on requirements, schedule, and training days. Join the Friends of Discovery Park and J.A. Brennan Associates for a public meeting on Wednesday, March 6 from 6 to 8 p.m. at the Discovery Park Environmental Learning Center to learn about alternative design options for the South Beach Trail-connecting the Loop Trail to West Point and South Beach at Discovery Park. 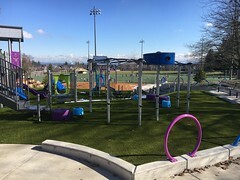 Seattle Parks and Recreation(SPR) is hosting an Open House for the Lakeridge Playground on Wednesday, March 6, 2019 from 6:30 to 8 p.m. at the Rainier Beach Community Center and Pool, 8825 Rainier Ave. S. This project will make needed playground and playfield renovations including new play equipment, new field grass turf, irrigation and drainage renovation, court resurfacing, retaining wall study, and access improvements to meet ADA standards. 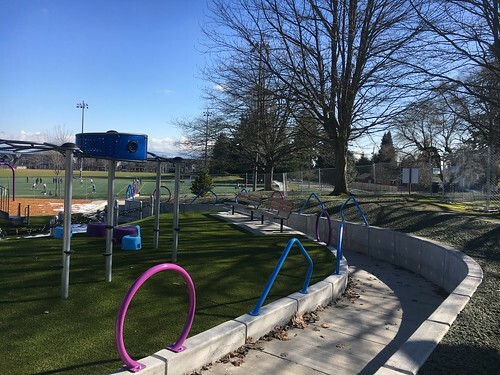 Lakeridge Playground is located in southeast Seattle at 10145 Rainier Ave. S.
An important element in delivering a successful project is community involvement and active participation in the design process. We look forward to meeting you at the Open House and gathering input on the project. Additionally, we encourage the community to participate in this survey https://www.surveymonkey.com/r/LakeridgePlaygroundRenovation. This project is funded by the Seattle Park District and the King County Parks Levy. SPR anticipates design for this project to be complete and put out to public bid by the end of 2019, with construction slated for 2020. About the Race: The event includes the ½-mile straight course and the 1-mile oval course. All participants receive a commemorative t-shirt and cap. There will be prizes for the top male and female in age group categories. First Open Water Swim? Read up on tips here. Or click here to view the GLOW brochure for more info. Join us on Sunday, Feb. 24 from 9 a.m. to noon at Bitter Lake Community Center (13035 Linden Ave. N) for a pancake breakfast! Tickets are $5 for adults and $4 for kids and seniors. Children 3 and under eat free! Bring the whole family and enjoy all-you-can-eat pancakes, scrambled eggs, sausage, biscuits and gravy, juice and coffee. Proceeds from this event will help provide scholarship to those in need throughout the year. Tickets are on sale now. Contact the Bitter Lake Community Center at 206-684-7524 to purchase or for more information.